We are the creators of our experience. We are incredibly powerful beings, with the source of all things residing in and around us. We create constantly, either by design or by default. Come learn what a miraculous mindset is and why you want it. You’ll also learn what is preventing the miraculous from unfolding in your life, and understand how to access the miraculous to create your best life. 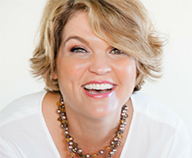 Theresa Vigarino is a Soul Essence Alchemist specializing in bringing spirituality, healing, and science together to reprogram the brain for success, and illuminate your life experience. Learn more.